If you worry about visiting the dentist, you’re not alone. It’s quite natural to have concerns but for some people these can develop into dental phobia. This can stop you from getting the care and treatment you need (meaning that potential problems are not picked up and your dental health put at risk). At Shine Dental Care in Mansfield, we have a wealth of experience in treating nervous patients and have successfully encouraged many people to put their fears behind them. If you feel very nervous, we can help manage your anxiety so that you can attend check-ups and go ahead with treatments. The first step is often the most difficult – but all it really involves is walking through our doors and talking to us. If you haven’t visited us before, the first thing you’ll notice is how our reception doesn’t look like a dental waiting room at all. It’s bright and welcoming with large, plush sofas where you can sip a coffee, read a magazine or listen to ambient music. The treatment rooms are just as cheery – they’re even scented to avoid the clinical smells people often associate with a trip to the dentist. When you sit and talk to our team, it’s clear you’re in safe hands. 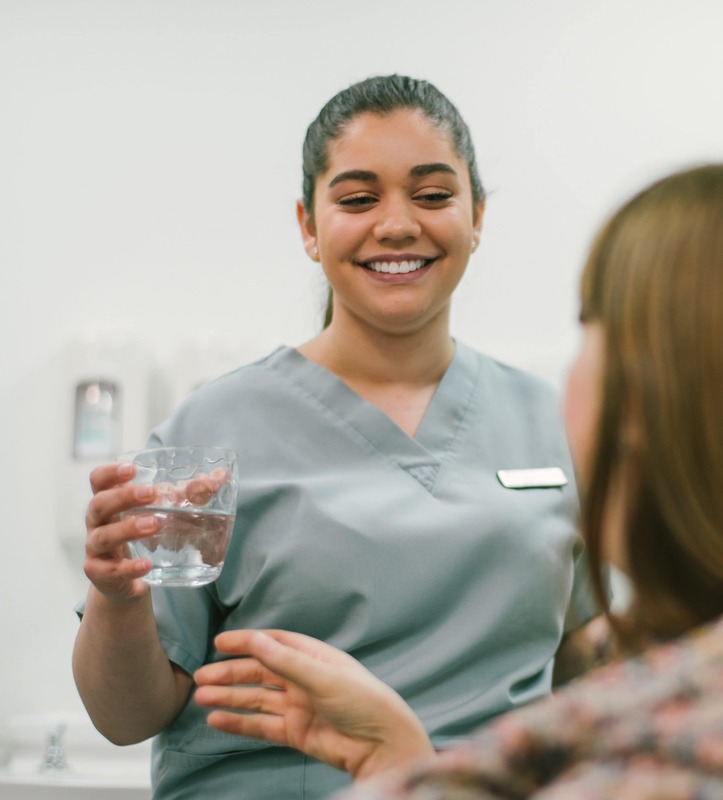 Our dentists will talk through every aspect of treatment so you understand what is happening at all times, and our nurses are always happy to hold your hand if you feel uneasy during treatment. We invest in technology such as The Wand (a new anaesthesia system that’s virtually pain free) to make your experience as comfortable as possible. All of our dentistry is pain free and we’re happy to make an early appointment so you don’t need to worry during the day and welcome a friend or family for moral support. You can even bring your own music with you if you feel it will help. If you have any worries at all, please do get in touch as talking to us can make all the difference. How will the dentist put me at ease? All of our dentists have a lot of experience in treating nervous patients and understand how difficult dental appointments can be. It’s our aim to help you control these anxieties by listening to your concerns and addressing them openly and honestly. We find that talking through dental procedures in detail, from noises to expect to what equipment we will use, can be very reassuring. It’s the unexpected that often causes worry and fear. 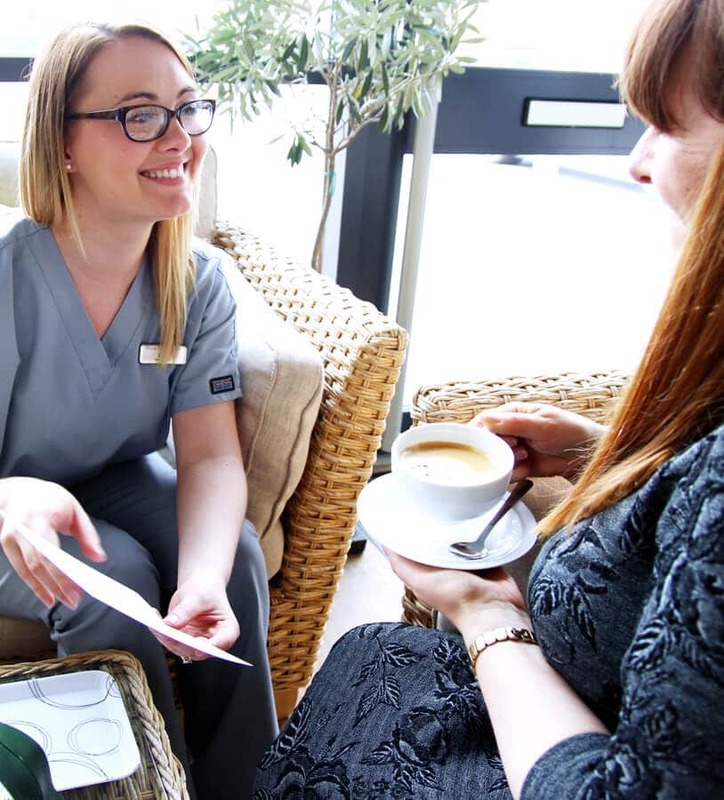 All of our staff are extremely supportive – from our friendly reception team to dental nurses and hygienists. We’re to help every step of the way. How can you make dentistry pain free? We believe that with the right dental skills and experience, there is no need for any patient to feel pain during their visit. Wherever necessary, treatments are carried out under local anaesthetic to keep you comfortable throughout. Our dentists will continually check that you are feeling fine during all procedures. This can make a huge difference for nervous patients as dental phobia is often centred around pain. Investing in technologies, which make the dental experience more comfortable, is very important for all patients. For nervous patients, it’s even more essential which is why we continue to invest in this way. The Wand is a wonderful example of this commitment. This revolutionary anaesthesia system provides a gentler alternative to the traditional syringe for delivering local anaesthetic. It’s virtually pain free and doesn’t cause as much facial numbness. Our 3D dental scanning system also enables us to provide a much better patient experience. Rather than using a variety of 2D X-ray images that some patients may find uncomfortable, the 3D scanner shows the dental anatomy of your teeth and bones from different angles with one easy, comfortable scan. Dental treatment that’s comfortable and stress free.